Burrowing rodent fumigation placard designed to meet all applicable USEPA rules and regulations. 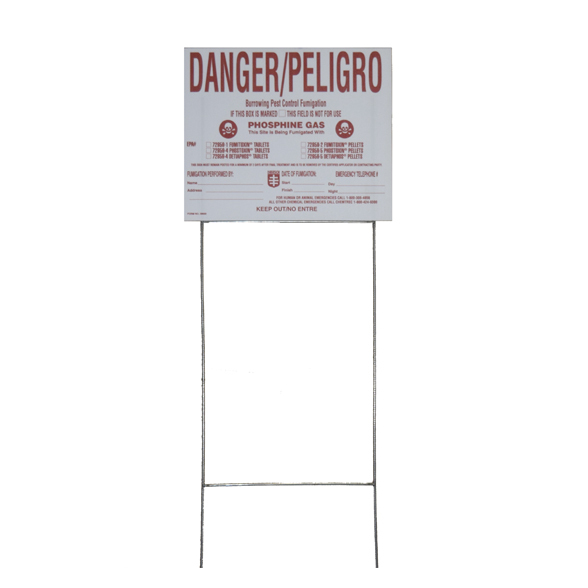 Intended for use with all Degesch America, Inc. Aluminum Phosphide and Magnesium Phosphide products. Placards are designed to be reusable and include a stand.